The new year has begun and there’s a good chance you started it with some new year’s resolutions. If one of them was to start a new career, we can help! Here are our top tips for making a career change in 2017. Start now. Changing careers can be a stressful undertaking but so can staying in the same career and being unhappy every day. Studies show that while changing jobs, let alone careers, can cause anxiety, it’s better to make this kind of move first thing in the year. The sense of newness and anticipation associated with a new year helps to combat any feelings of anxiety or stress. Fresh year, fresh start, fresh attitude. Know the reason. It’s important to know why you want a new career at this point in your life. Are you bored with your work? Unhappy in your current position? Or have you recently discovered a new passion? Whatever the reason, it’s important to know why you are making this move as this understanding will help you to keep going when the going gets tough or when you have to make difficult choices (like leaving a well-paying position) in order to get where you want to be. Understand your new career choice. Before you make a big career move, you should be sure of exactly what you want in a new career and what it will look like in the real world. Being a lawyer, for example, is not always as glamorous as it looks on TV. Investigate your new career carefully and be sure you know what is required from you (further study, a drop in salary, a relocation etc.) before you commit to making the change. Take time to flesh out your vision for your new position and hold onto that. Get your CV together. Your CV is your new employer’s first impression of you and your abilities. It should be up-to-date, concise, and error-free. A good CV might not guarantee you the job but a poor CV can certainly damage your chances. If you’re concerned that your CV isn’t all it should be, get expert help and make sure it stands out from the job seeking pile. Get looking. Spend time researching the kinds of companies you want to work for and get a good idea of what’s out there for you – have a look at their websites and use LinkedIn to find out more about their corporate environment. Internet searches can also help, as well as online job boards to find out what positions are available. Get hold of a reputable employment agency (like Lee Botti!) and let them help you find the perfect position for you. Get help. Choosing a new career is a serious undertaking – what we do for work makes up a substantial portion of how we spend our day and our lives! So, it’s not a move to be taken lightly. 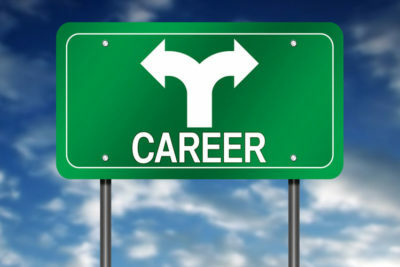 Speak to a professional career counsellor about why you want to change careers and how to do so. Consult an employment agent about your CV and the likelihood of matching it up with your new direction. Employment agents understand what is required for different industries and can help to advise you about the fit and suitability of your previous experience. A new year equals a new start and it’s a great time to make a career move if you feel you need to. Need some help getting started or navigating a new industry? Speak to us! As a specialist recruitment agency, we have an impeccable reputation and are used by more than 2000 South Africa companies. When it comes to our candidates, we believe in enhancing their career aspirations as much as finding our corporate clients the right people for the job.